UN, civil society, country partners, the private sector, youth and citizen representatives joined the conversation on how to strengthen accountability, as well as the role of cross-sectoral collaboration to achieve the targets of the Global Strategy for Women’s, Children’s and Adolescents’ Health and related Sustainable Development Goals. David Nabarro, Special Adviser on the 2030 Agenda for Sustainable Development and Climate Change, in a video statement, underlined the centrality of healthy people to achieving all of the goals in the 2030 Agenda for Sustainable Development, and that investing in women’s and children’s health yields at least 10 times the return. 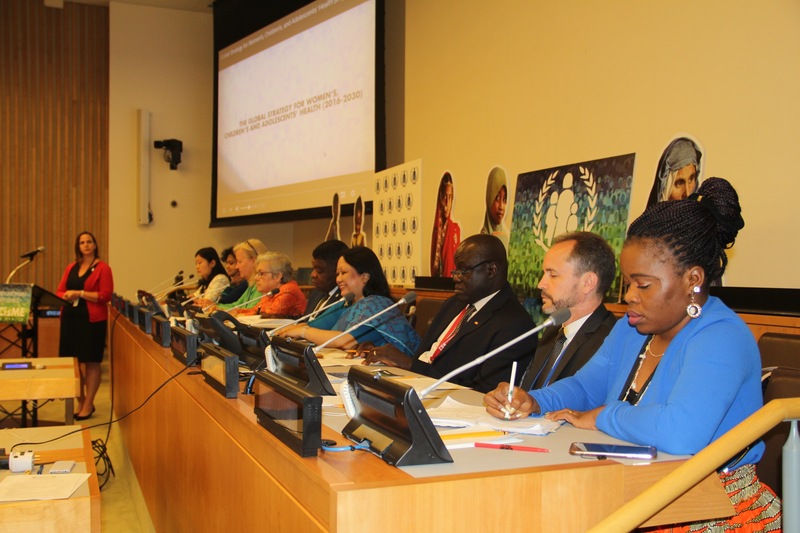 Dr. Nabarro also emphasized that an integrated agenda will be vital to achieving health related SDG targets, noting that about 50 per cent of the gains in women’s and children’s health under the Millennium Development Goals were attributable to factors beyond the health sector, such as education and sanitation. 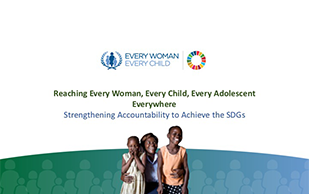 On behalf of Chilean President Michelle Bachelet Jeria, co-Chair of the Every Woman Every Child High-level Advisory Group, H.E. 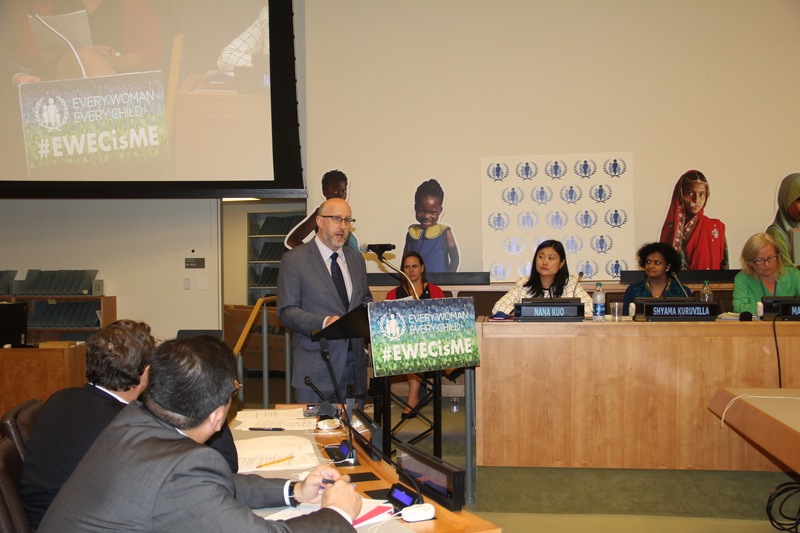 Ambassador Mr. Cristian Barros Melet, Permanent Representative of the Permanent Mission of Chile to the United Nations, stressed the importance of keeping women, children and adolescents at the heart of the SDGs, emphasizing gender equality and women’s empowerment as key areas of work. 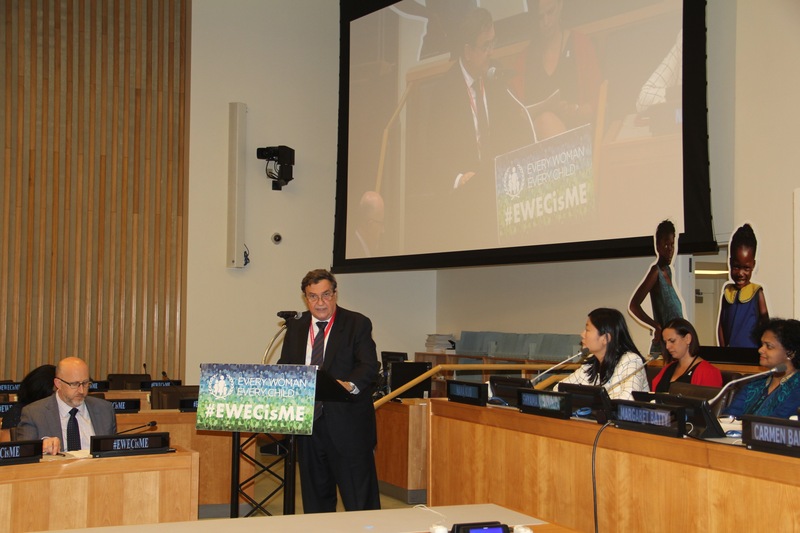 He highlighted how national efforts, such as those led by Chile, will be critical in order to improve information systems and to support country led plans for women’s, children’s and adolescents’ health and wellbeing. A panel discussion followed with Margaret Batty, Director of Global Policy and Campaigns, WaterAid; Carmen Barosso, Member of the Every Woman Every Child Independent Accountability Panel; Martin Chungong, Secretary-General, Inter- Parliamentary Union; Farhana Ahmed, Representative of Citizen’s hearings in Bangladesh; Alasan Senghore, Head of Delegation and Permanent Observer International Federation of Red Cross and Red Crescent Societies to the United Nations; , and Joanna Kargbo, Youth Representative from Sierra Leone. The speakers highlighted partnerships, working across sectors and alignment with national plans as the pillars to successful accountability through the Global Strategy.